Denmark is an expensive country in respect to others. But this is not the only reason for some young people to get their food out of the trash. For Michael (24) it is also a way to say ‘NO’ to a capitalistic system of overproduction and overconsumption. 11.30 pm on a Tuesday night, outside a supermarket somewhere in Aarhus: A young man lightens his flashlight and opens up a dumpster behind a white little fence, close to the entrance door of the building. A harsh unpleasant smell rises up through the air. “Today it seems we can only find bread”, he says, after carefully examining the trash that was thrown out only a few hours ago at closing time. Nonetheless, he takes two loaves of rye bread and puts it in his bag. The bread is packed in its original foil and with a sell-by date lasting two more days. 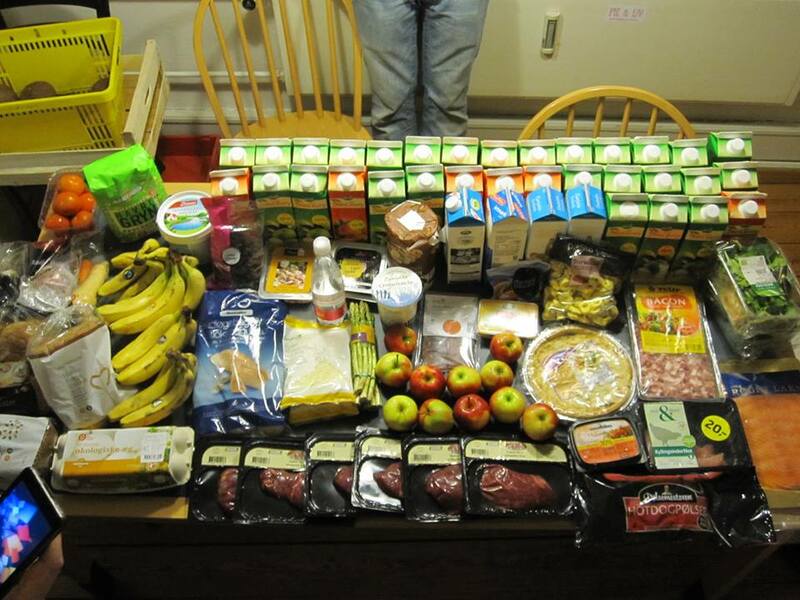 “It just annoys me so much, what people and especially supermarkets throw out every day. Most food is still perfectly alright”, says Michael, who was born in a little town close to the Danish-German border. He starts his dumpster diving tours usually some time after the closing hours of supermarkets, a couple of times a week. Sometimes he goes alone, sometimes with his friends. “Just yesterday me and another friend found almost 15 packages of meat. It was still perfect, and we put it in the freezer. There are some nice BBQs to come”, he says with a smile. 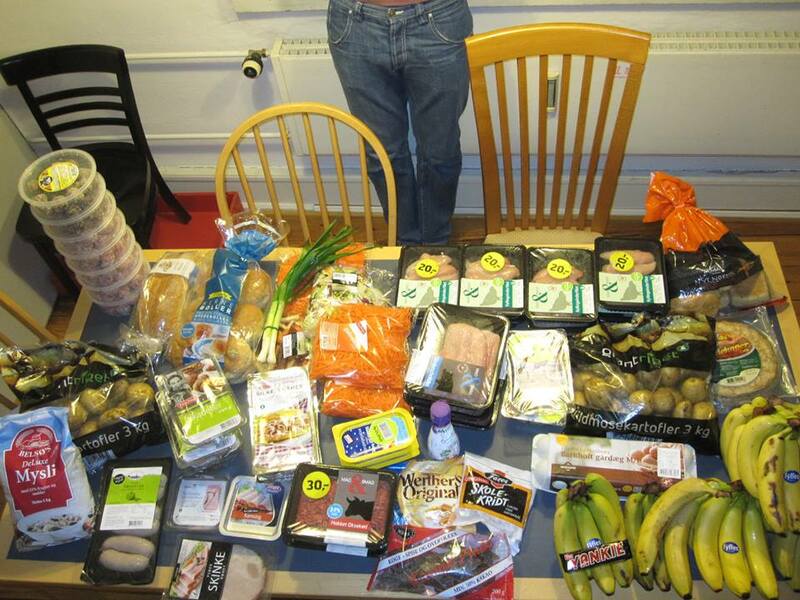 Food waste is not solely a Danish problem. Everywhere around the world food is wasted. Numbers in studies are often only based on estimations. However, a study from the Danish Environmental Protection Agency in 2012, suggested that a typical Danish family throws out 76 kilograms every year, out of which around 42 kilograms are still edible. Fruit and vegetables are particularly often thrown into the trash. Next to private households, supermarkets, restaurants and canteens are among the biggest food wasters. To dispel a myth, Michael is not poor. He was a student before, studying first German and then Economics, which he both quit. Right now he is “taking a break”, trying to figure out if he wants to work or if he wants to start studying again. Although he lives on his savings right now, normally the Danish government supports students with either the educational fund ‘SU’ or the unemployed students after graduation with ‘a‑kasse’ (an abbreviation for ‘arbejdsløshedskasse’, meaning unemployment insurance fund). After all, no need to look in the trash for food, if it were for the money. But this is not the case, not for Michael, nor his friends. They go dumpster diving in order to at least partially counteract the food industry’s system of overproduction. “Of course, I still go to supermarkets – we can’t find everything in the dumpsters.” But for the most part he can. And also with his cooking, he says, he has become more creative. Some years ago, Michael went out to dumpster dive by car and he and his friends got plenty of food. 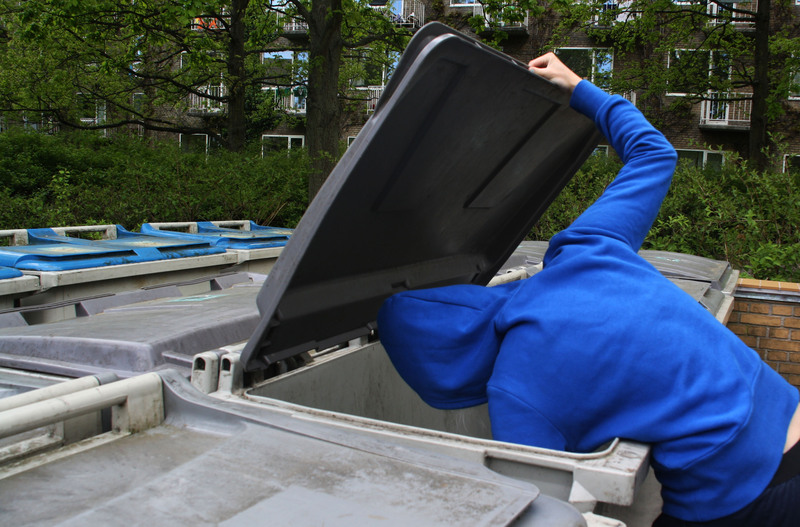 According to many professional websites dealing with dumpster diving, it may only be considered to be a criminal offence for either trespassing, when the dumpster is found in an “enclosure“ like a fence, a wall or something similar that has to be climbed, or when breaking and entering a dumpster that is locked. Unlike in many other countries, in Denmark a lot of supermarkets do not lock their dumpsters away, at least most of the time. „I have never had problems with authorities so far“, says Michael about his experiences. „Some supermarkets have unfortunately started to lock their garbage away in recent months.“ But that is still not too big of a challenge for Michael: He will continue to eat food that has been doomed as non-edible by others. New article/ blog post that I wrote for the insight out magazine.